Preheat oven to 200°C (400°F). Place the garlic, harissa, oil, half the lemon juice, honey salt and pepper in a small bowl and mix to combine. Set aside. Place the lemon pieces and chicken, skin-side up, in a large roasting tray lined with non-stick baking paper. Rub the chicken all over with the marinade. Roast for 30–35 minutes or until the chicken is cooked through and the skin is golden. Place the mint, yoghurt, remaining lemon juice and salt in a small food processor and process to combine. 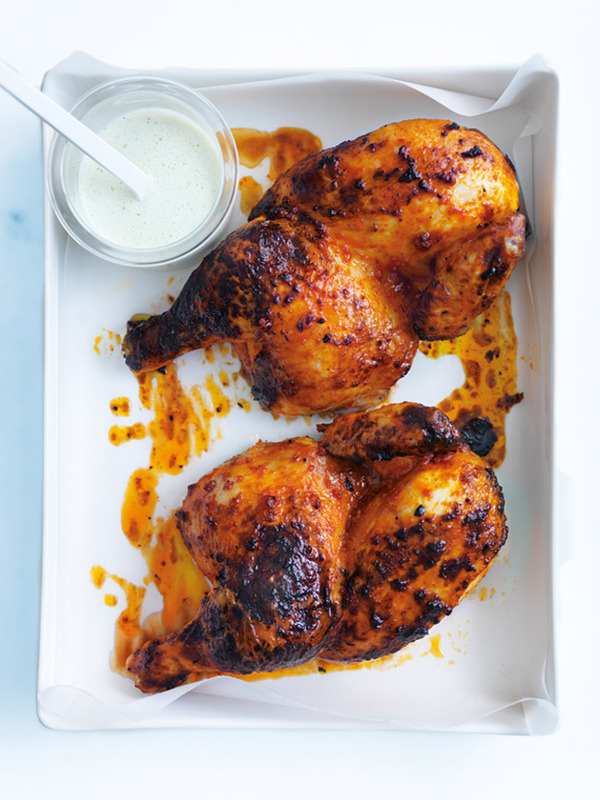 Serve chicken with the minted yoghurt. Serves 4.